Systems East, Inc., a leading provider of comprehensive finance, billing, and payment solutions since 1981, announced today that it has hired continuing education and legal technology expert, Melissa “Rogo” Rogozinski. 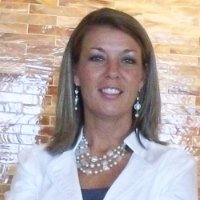 Melissa will be designing and managing educational content and training programs to enhance the product and service Xpress-pay offers in the electronic payments industry. This position was created in response to the rapid growth and popularity of the company’s market-leading product, Xpress-pay. As Education and Training Subject Matter Expert (SME), Ms. Rogozinski will be responsible for designing and implementing knowledge content through a variety of newsletters, email campaigns, blog articles, and podcasts with industry experts. Additionally, Systems East will host live webinars, professional continuing education programs and workshops for its partners, resellers and customers throughout the United States. The electronic payments audience can look forward to information on process and procedure, cybersecurity, and data privacy, as well as industry certifications and risk mitigation strategies. “Since 2005, I have had the privilege of working with leading judges, lawyers and legal technology experts all over the country to educate our colleagues about changes in the law regarding technology and electronic information management. Systems East provides software and solutions to manage hyper sensitive data for the same industries as my legal constituents serve in the practice of law. Moving into this role with Systems East was a natural progression and a unique opportunity to continue delivering high-quality knowledge and content to the people and industries who move our world with just one keystroke or click of the mouse,” commented Ms. Rogozinski. Systems East, Inc. is headquartered in the Finger Lakes Region of Central New York and maintains satellite offices in South Carolina, Florida, and Arizona. The company has an established record of providing professional assistance to thousands of clients nationally. In its thirty-seven year history, its experienced staff has specialized in the development of a variety of software products that are comprehensive, easy to use, and cost-effective. Systems East has consistently enjoyed steady and sustainable growth, resulting in a positive financial position every year, has no debt and has never sought or received funding from external sources such as banks or venture capitalists. This financial independence permits a focus on quality instead of shareholder income and is consistent with a management strategy that emphasizes attraction and retention of both clients and employees. Systems East assists its clients in transacting billions of dollars annually.